Dar Es Salaam War Cemetery. Coll. Grave 8. E. 6-13. 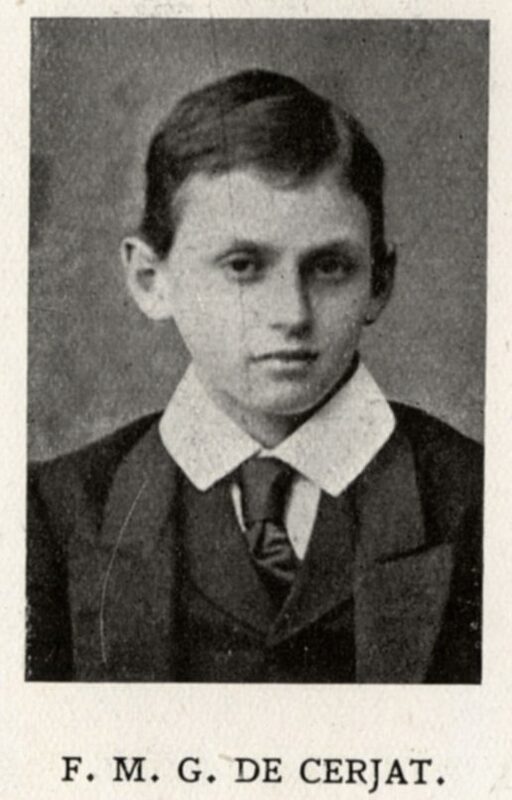 Frederick was born on October 29th 1870, the son of Wynne de Cerjat and his wife, Fanny, who were at the time residents of Maryborough, in County Laois, Ireland. By the time he started Dulwich however the family had moved, and were living in Sydenham. He spent just over a year at the College, and after leaving went down to South Africa. Whilst living there he fought with distinction during the Boer War, by the end of it having attained the rank of Captain in the Frontier Mounted Rifles. 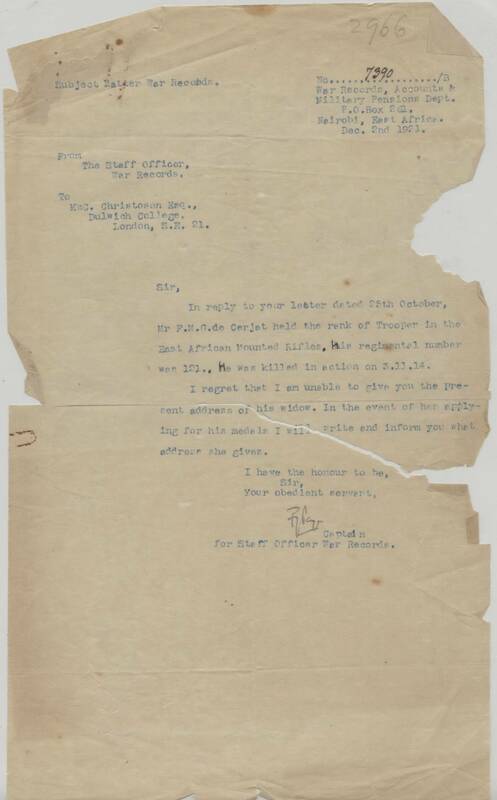 By the outbreak of war in 1914 Frederick had moved to British East Africa, and upon its declaration volunteered once more, this time as a member of the East African Mounted Rifles. He was serving near the border between British and German East Africa when he was killed on November 3rd 1914, being buried at Dar es Salaam in modern day Tanzania.